As Zimbabwe lunges from one uncertainty to another, the turmoil has deepened less than a week after the military takeover… though not, as it turns out, the ouster of Robert Mugabe. The possibility of the country’s President being moved out by Parliament if he does not step down within two days is real. The 93-year-old leader had himself fixed a deadline till noon on Monday to resign as Head of State… or face impeachment. However beleaguered, Mr Mugabe seems loath to give up his office. Having set the deadline, he has ignored the time-frame as the African country bears witness to a forbidding cocktail of the military and the legislature confronting the executive. Beyond the theoretical parameters of democracy, Mr Mugabe would appear to have lost the support of the people generally, with students “celebrating” the army’s action, even refusing to take their exams unless he quits. By its very nature, student-power can be an awesome catalyst for change. The outlook is direly uncertain five days after tanks rumbled across the streets of Harare, the capital. 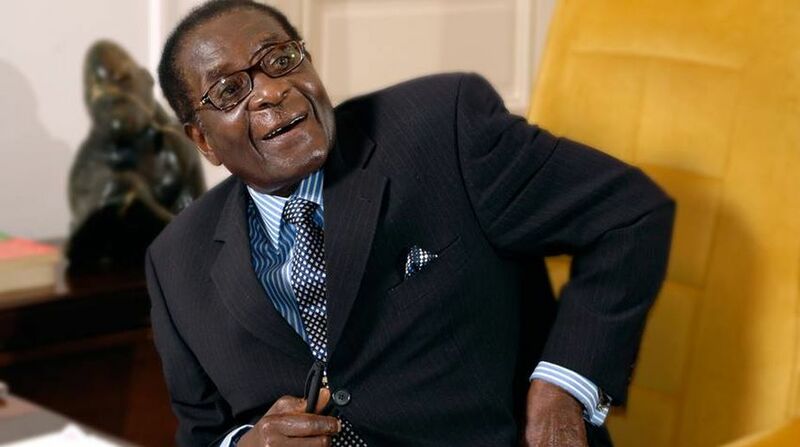 Mr Mugabe has, above all, lost the support of his party ~ the Zanu-PF. Politically, he is on a terribly weak wicket not least because he was stripped of his party offices by Zanu-PF on Sunday. Still more crucially, a draft impeachment motion published by the party states that the ageing leader is a “source of instability”, one who has shown disrespect for the rule of law and can be blamed for an unprecedented economic blight over the past 15 years. Although Zanu-PF has the required two-third majority in Parliament that is necessary for the impeachment motion to be passed, the arrest of some MPs might necessitate the support of Opposition parties. In a sense, the confusion can be attributed to the uncertainty as regards the nature of the military operation that had all the trappings of a coup. And yet the army was overly anxious to “make it abundantly clear that this is not a military takeover of government”. Indeed, the coup was the singular certainty in the midst of the overwhelming chaos and confusion. Not many deposed leaders would have had the nerve to cling onto the presidential palace in defiance of the army and Parliament. Over the past week, Mr Mugabe’s performance has been as stunning as it has been defiant. Zimbabwe was taken aback when he did not resign, as expected in a televised speech on Sunday night. Under house-arrest, he has been condemned for his “rambling” address to an alienated nation. He has offered no substantial concessions to the tens of thousands of people who have marched calling for his resignation. Autocratic as he is, he called upon compatriots to avoid what he called “bitterness or revengefulness, which would not make us any better Zimbabweans.” The plot thickens as he has lost the support of the people.